Dummy or Styrofoam cakes are used as display pieces at weddings and trade shows or for cake decorating practice. Styrofoam cake pieces come in many shapes, heights and widths. When decorating dummy cakes, the goal is to make them look so real, no one can tell the difference. 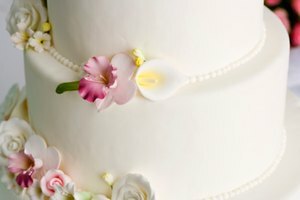 Unlike real cakes, Styrofoam cakes are coarse and can be difficult to work with when applying fondant. 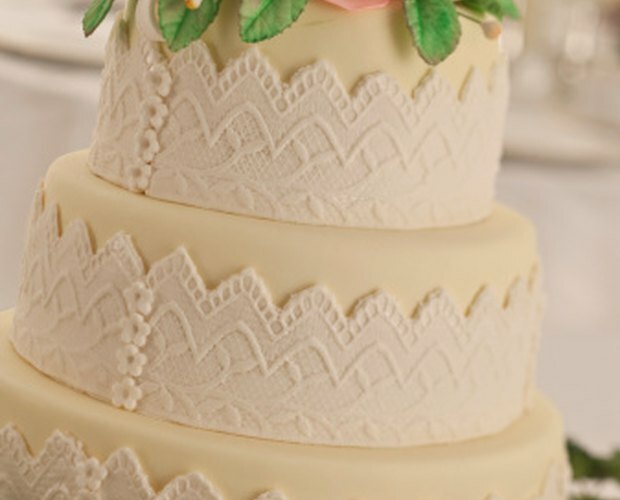 When making your next dummy cake, use a few tricks of the trade to achieve a flawless finish. Dummy cakes are created from compacted Styrofoam blocks. Though the material is compacted to provide a perfectly symmetrical shape, its texture can be coarse enough to leave lumps, ripples or tears in your fondant. This can be prevented by wrapping the Styrofoam cake in a layer of plastic wrap prior to applying the fondant. Make sure the plastic wrap is completely smooth around the Styrofoam, otherwise your fondant will show its imperfections as well. The type of dummy cake you purchase will make a difference on how your fondant will look after it's applied. Purchase professional cake dummies and don't use basic Styrofoam from a craft store. Cake dummies are made specifically for fondant and buttercream applications, to ensure a smooth finish. Cake dummies are also created to withstand the grease from buttercream and acid in jelly so the dummy doesn't erode, chip or crumble when fondant is applied. Washable dummy cakes can also be purchased that have a smoother surface and don't require buttercream to adhere fondant. Applying buttercream to a dummy cake is a way to make fondant stick to the surface, but the buttercream must be completely smooth so the fondant doesn't show imperfections. Frosting a Styrofoam cake is difficult since it's lightweight and will move as you apply the buttercream. 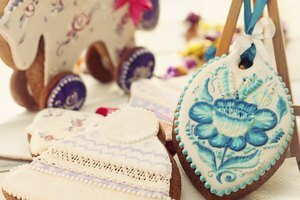 Use a glue gun to attach the cake dummy to a plate or weighted surface. This will help you apply and smooth the buttercream so you can apply fondant without any lumps. 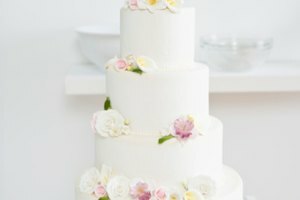 If your cake dummy will be sitting in a display that's closed or is intended for long-term use, you don't want to cover the cake in buttercream, since it will break down and smell over time. Cover Styrofoam cakes in plastic wrap and use a thin layer of piping gel or water as a glue for the fondant. When using water, apply a very light amount so the fondant doesn't become gummy. Apply and smooth fondant over the Styrofoam cake just as you would if using buttercream. 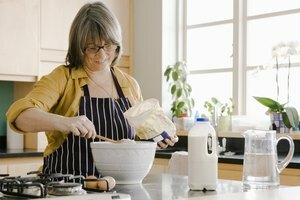 What Is the Purpose of Glycerine in Baking?